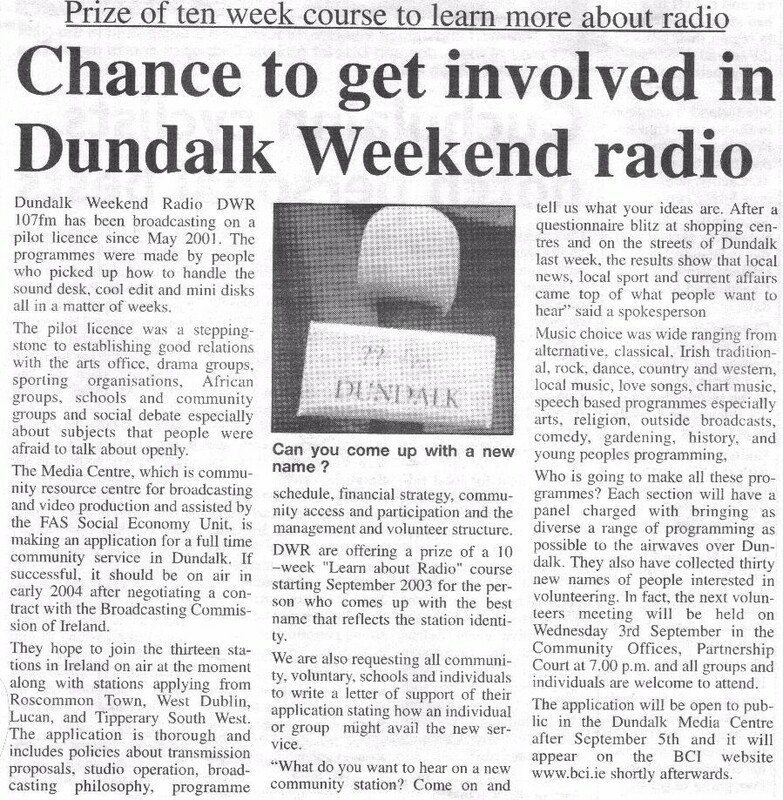 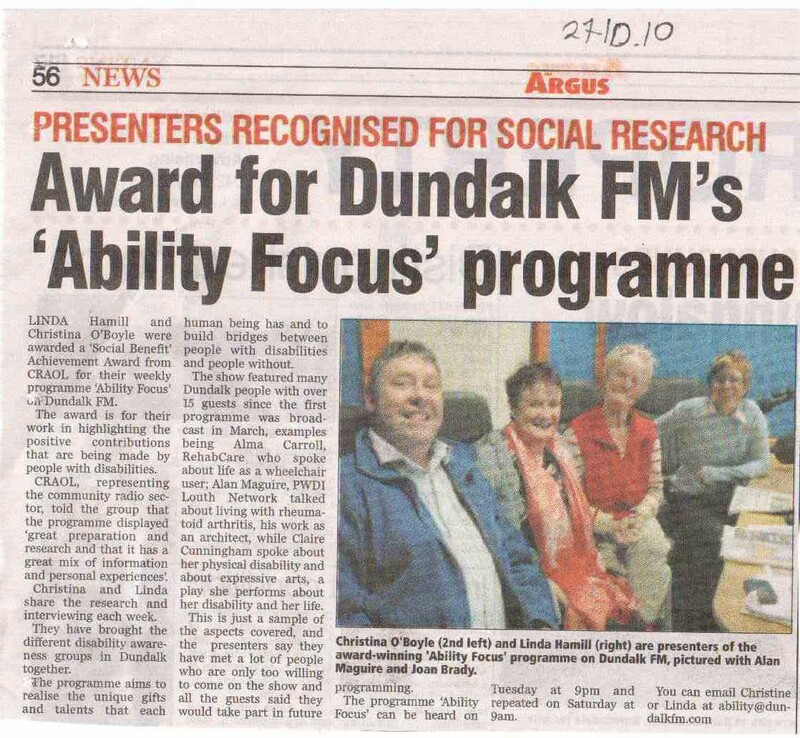 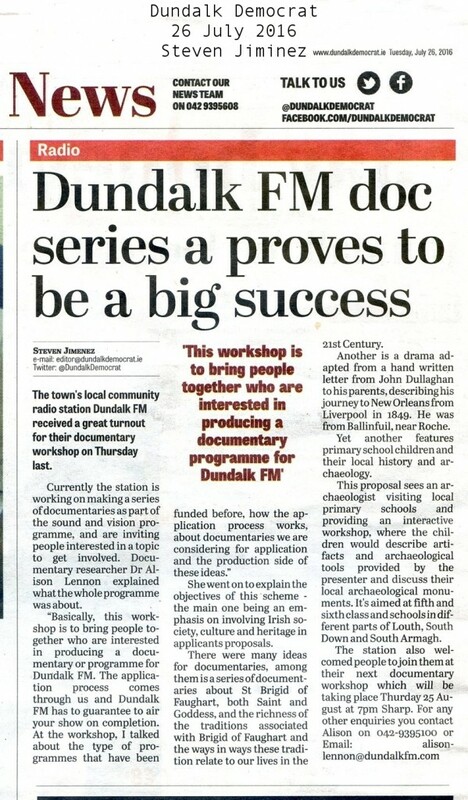 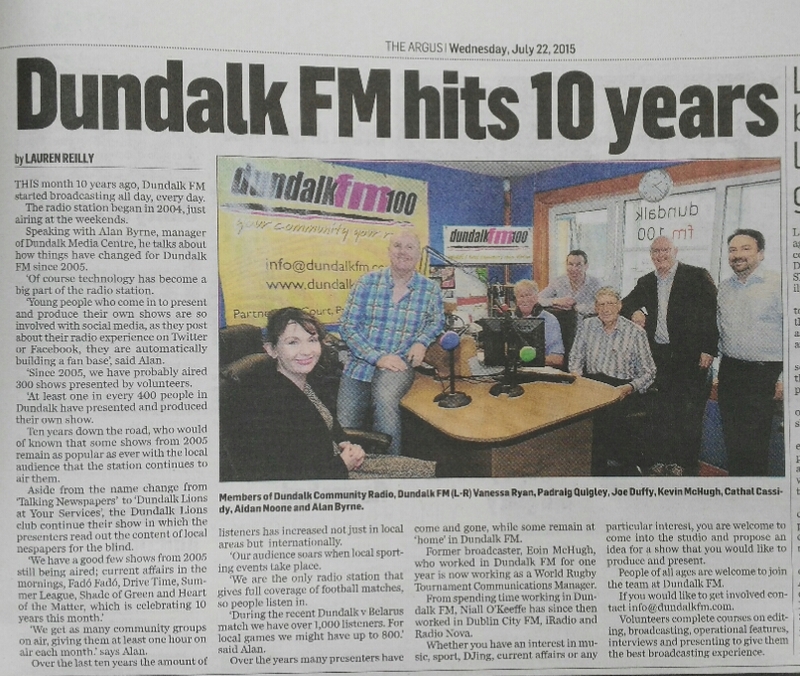 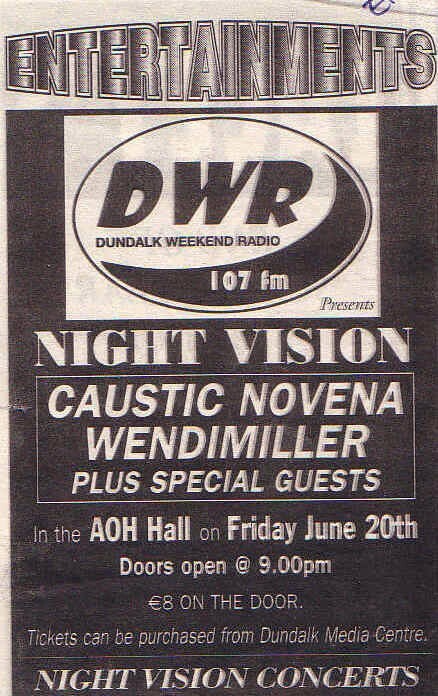 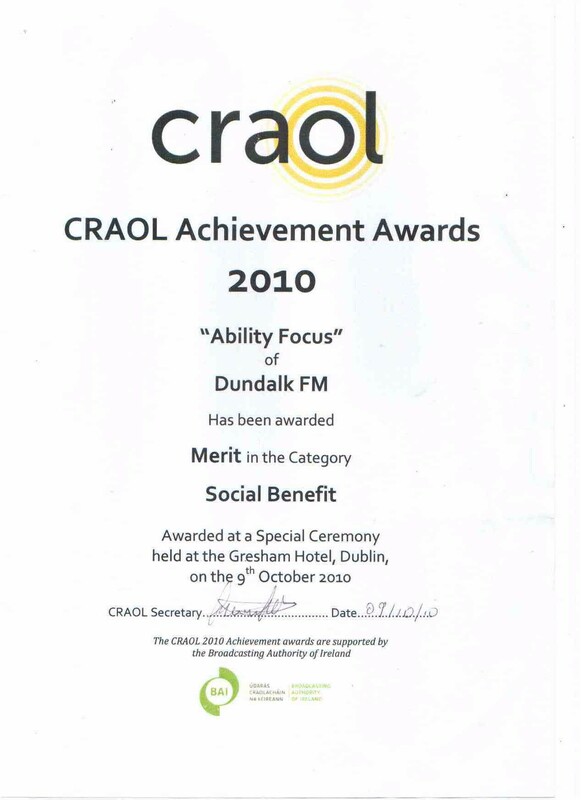 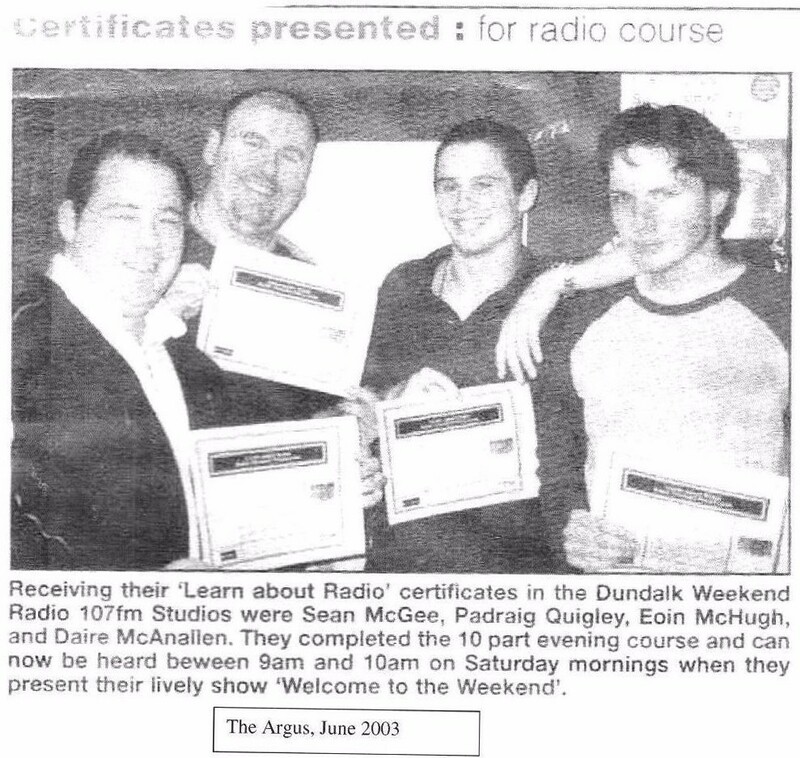 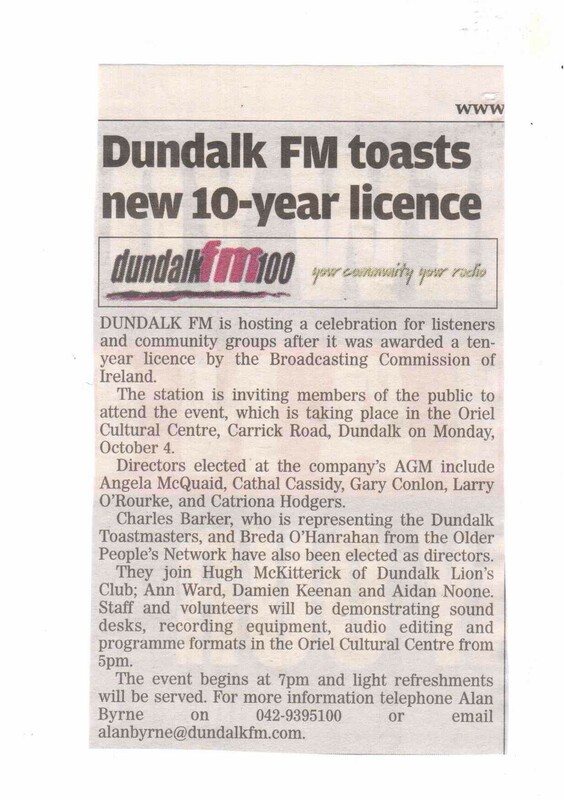 Dundalk FM began broadcasting on 2004. 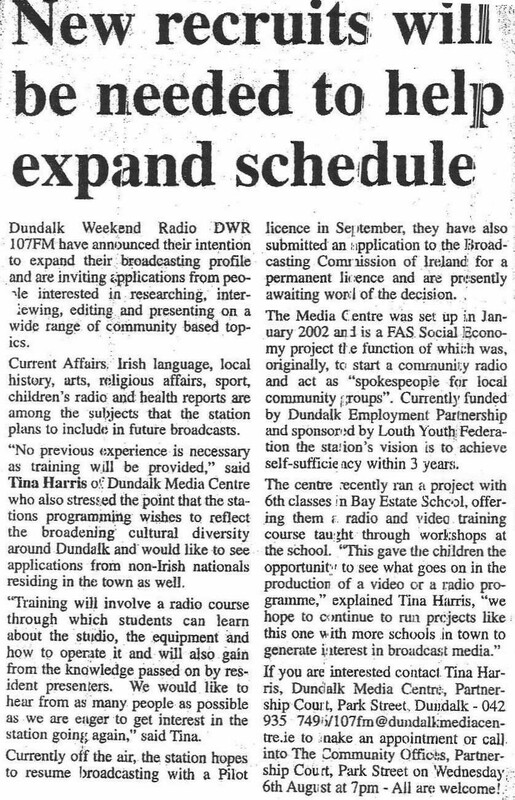 In 2009 the station applied for the next phase of their licence. 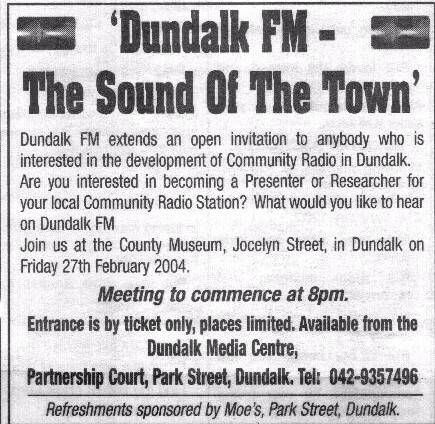 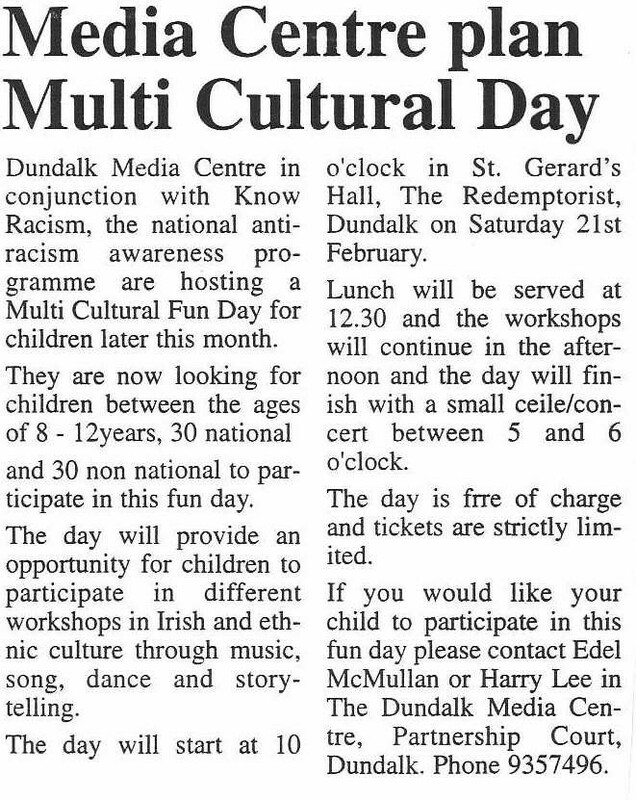 Dundalk FM is the name of the Dundalk Media Centre Radio Station. 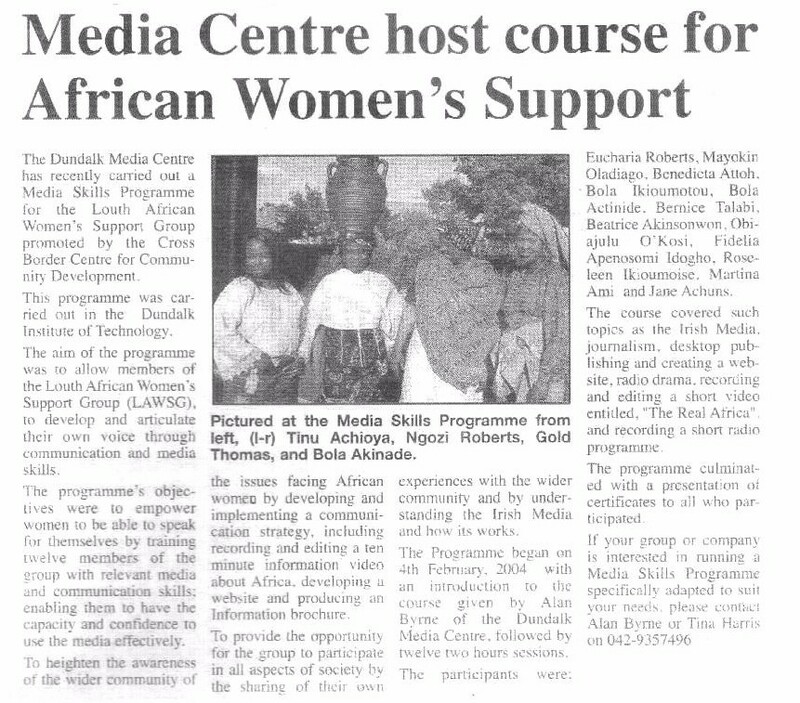 The centre trains Community Groups in video production, media skills and radio broadcasting.